It was the first Monday of the year and we're adjusting back to work. Jomar and I decided to have dinner at the small Vietnamese restaurant close to the office. This is my favorite pho place in Vancouver. 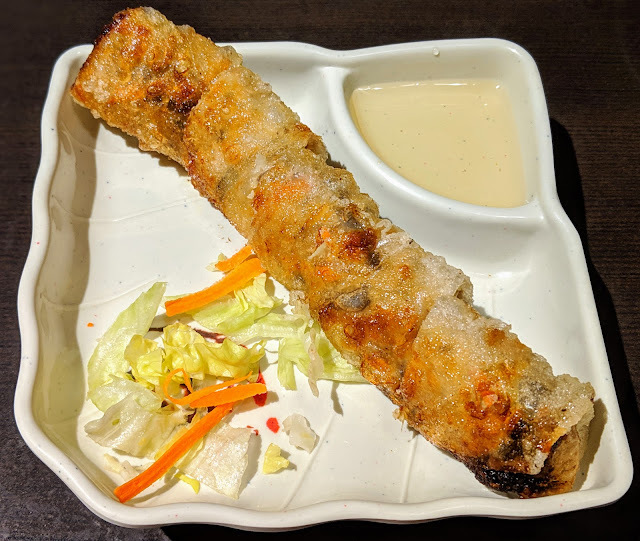 We ordered Vietnamese Spring Roll to get us started. 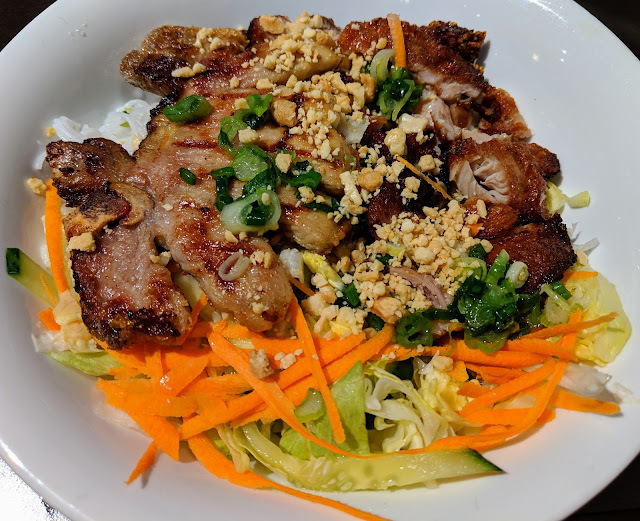 Then, Jomar a large House Special Noodle Soup and I had a Vermicelli bowl with Grilled Chicken and Grilled Pork Chop. 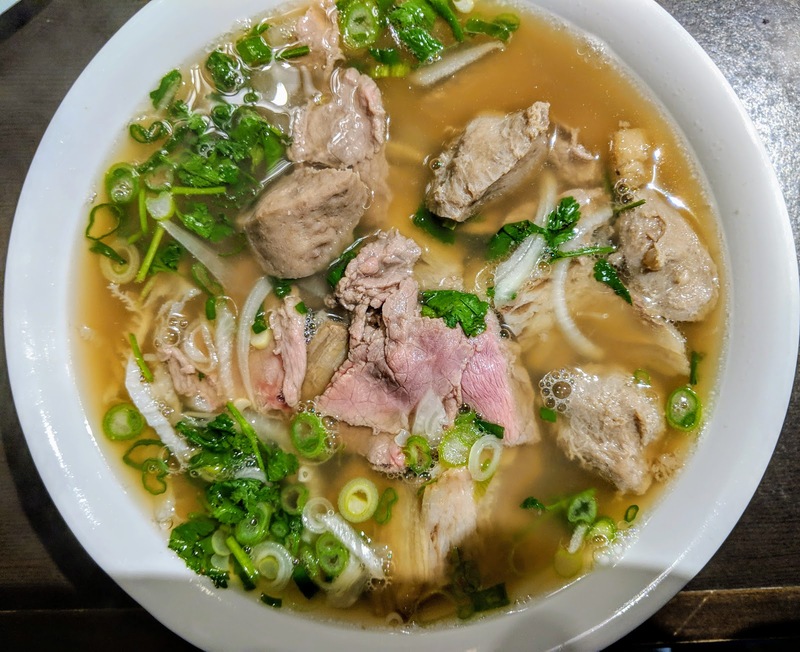 I love the broth in Jomar's chosen pho! Unfortunately, we didn't realize that they have desserts until we're home and I am looking at photos online.